The Undergraduate Student Government Association has now concluded its elections for the academic year. As usual, most positions had only the option either to vote for an unopposed candidate or abstain entirely. Unlike past years, however, the results from the election were thrown out and a second election took place. Why? Because some candidates’ names were mistakenly left off the ballot. How did a ballot that should have been checked and double-checked get distributed to the student body with such a crucial error, and go completely unnoticed until the votes were already in? Students at other universities might be shocked if this were to happen at their schools, but at Drexel this is hardly the only recent blunder of the student government. Our first question for USGA is, why was this handled through an email from the office of Student Life instead of USGA reaching out to the student body directly? All things considered, we can’t help but wonder whether USGA is working with the administration or working for them. 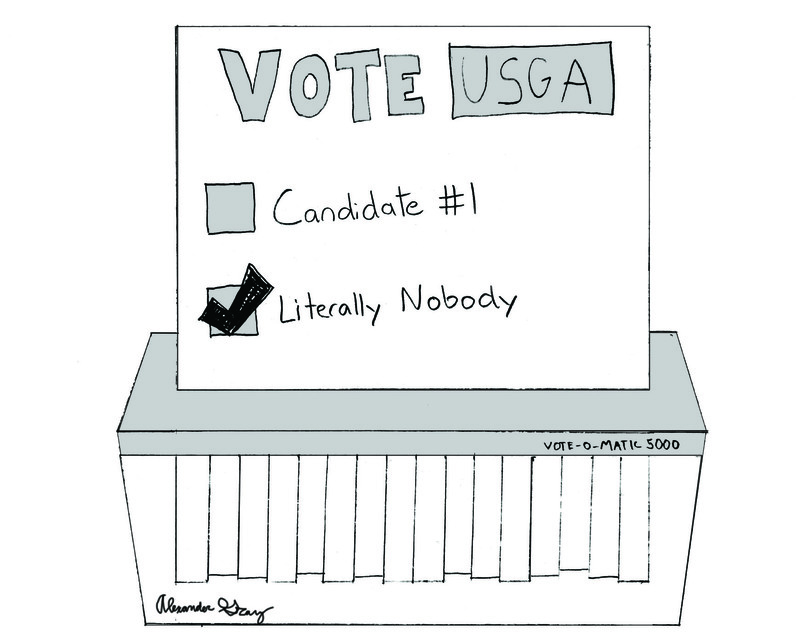 Drexel’s USGA has had a hard fall from grace from where it was even just 10 years ago. What was once a powerful advocate for the student body that played an important role in reforming university policies, fighting for the needs of students and even convincing the administration to build the recreation center we all know and love today has turned into an organization whose greatest accomplishment this year was, arguably, the creation of a senior class drink. Other events include destress events with dogs and, of course, the “freshman farewell.” USGA does far more social events and self-promotion than actual governing, and we have to wonder why USGA is taking on the role of campus engagement instead of advocating for what the student body needs. The failure of USGA was indicated by the creation of Dragon’24. Dragon’24, the handpicked group of students leaders which serves as the advisory board to the Provost, now serves many of the duties USGA should be taking on. The fact that there was even a need for a second student body advocacy group highlights that USGA has not fulfilled its responsibilities. Maybe it’s the fault of the student body for becoming too complacent and allowing USGA to operate without answering to us, or maybe it’s the fault of the administration for culling any real or perceived power USGA had. But regardless of how it’s gotten to this point, it needs to take a serious look at how it handles its responsibilities and realize that just hearing student concerns is not enough.